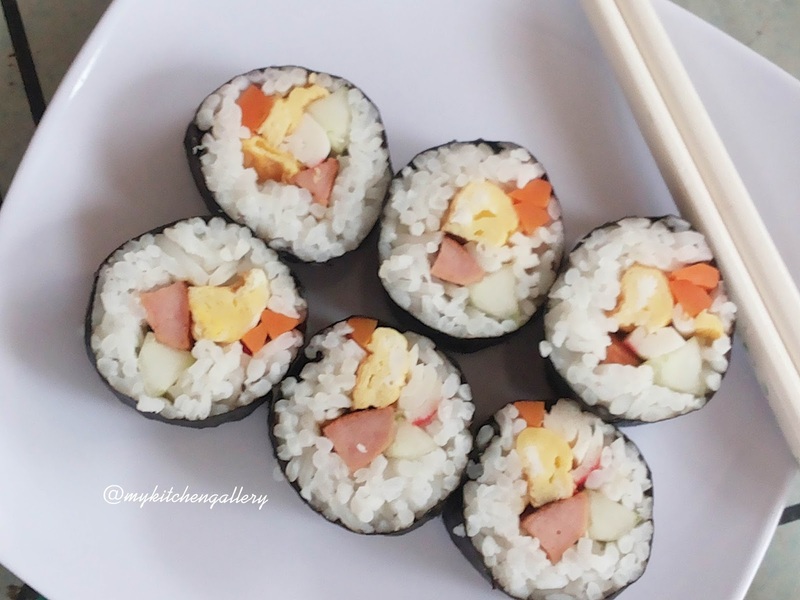 This is very easy kimbap, only fill with fried chicken frankfurter, fried egg, carrot. I still learn how to roll it prettily and how to roll with more filling than the rice. I am using indonesian rice which we consume at home not japanese short grain rice/korean rice, so the rice is not that sticky, a little bit hard to roll. 5. 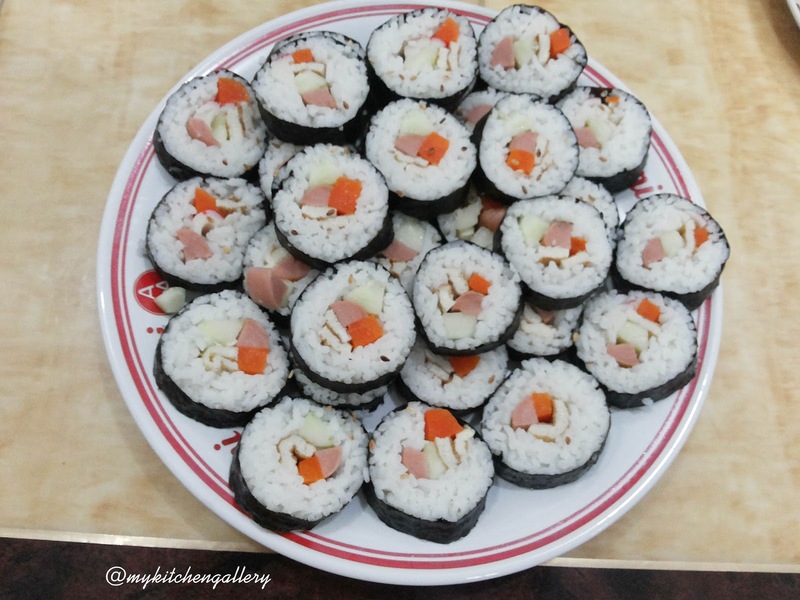 Place the seaweed sheet into the roll mat, place some rice about half seaweed sheet. 6. Place one of each filling in the middle. then roll it and press a bit so that the roll will be tight.